The Sidekick Hip Holster is a versatile holster with magazine pouch and removable belt clip. 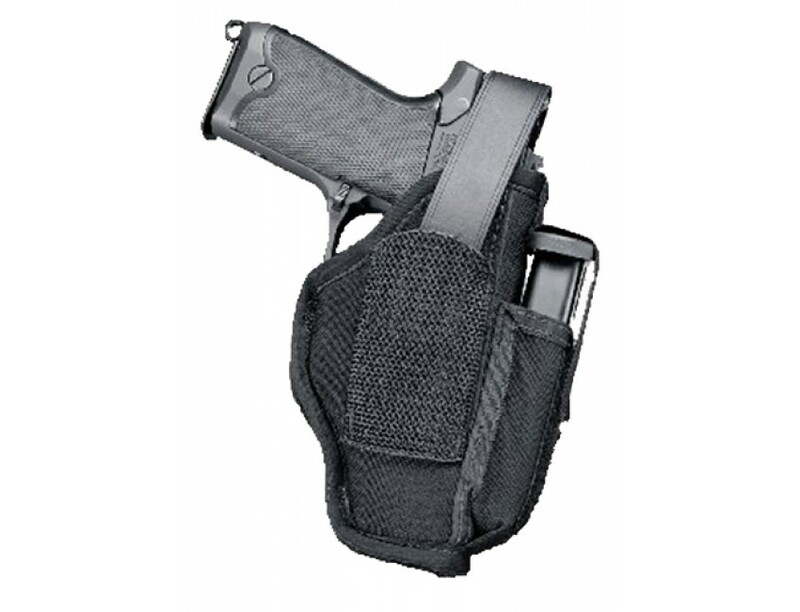 The velcro retaining strap secures magazine, yet provides easy access. It is constructed of tough, patented sidekick laminate of cordura nylon, waterproof closed cell foam padding and smooth nylon lining. The non-stretch retention strap and molded thumb break are anchored by one way velcro inside of the strap trap. Adjustment tool included.